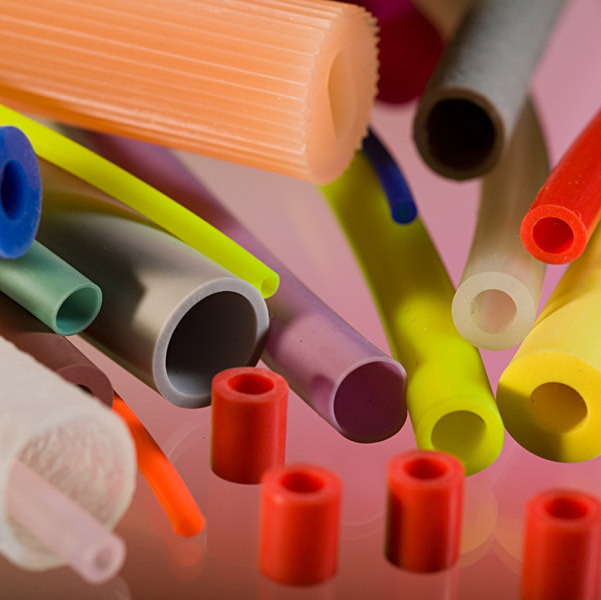 Adpol manufactures Fluorosilicone Rubber extrusions, tubing, punched gaskets and moulded parts. Fluorosilicone Rubber (or FVMQ) offers excellent resistance to chemicals, fuel, oil and acid resistance and is the ideal choice in extreme operating environments. Our Fluorosilicone Rubber compound is available in a 60 Shore A hardness, with an operating temperature range of between – 60 and + 225 degrees Centigrade. Adpol can also manufacture in a 50% blend, to reduce costs which is quite suitable in some applications. Adpol can manufacture Fluorosilicone Rubber products in a wide range of colours and to meet customer requirements from drawings or samples, simply get in touch to discuss your requirements and let us offer you advice, and a quotation if needed. Short runs (from 50m) at sensible MOQ prices to many kilometres on reels are all available, along with high quality standards from an established and approved life science supplier, good service and high levels of customer support. Please contact us for a quotation, to discuss your requirements or place an order.